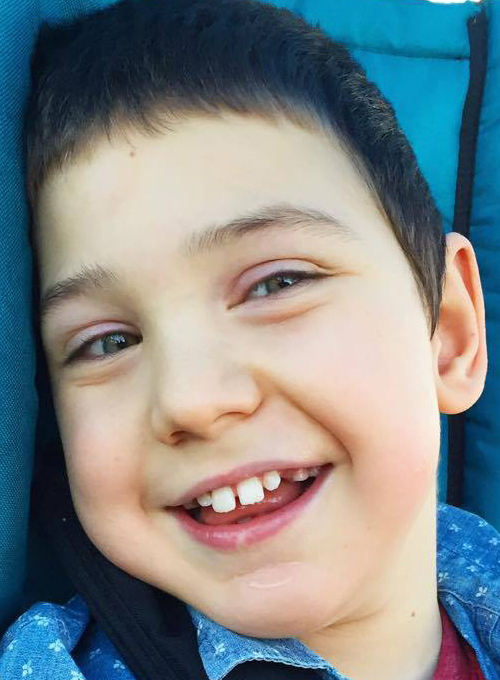 Meet Caiden, a 9½ year old little boy with a heart of gold and smiles of pure joy. Caiden's life hasn't always been an easy one. Read his story as told by his Mom. Caiden was born on April 1st, 2007. Caiden suffered a brain injury during the time of my pregnancy at 26 weeks along from a result of a bad car accident. So as you can imagine this little baby boy came into the world with his fair share of large battles to overcome. Caiden faces having Cerebral Palsy, Epilepsy, CVI, nystagmus, history of failure to thrive, asthma and chronic lung disease, eosinophilic esophagitis, multiple food allergies, eczema, sensory processing disorder, and a very poor immune system. He actually lacks carrying antibodies that we all need to fight off certain bacterias that cause pneumonia. He also relies solely on a feeding tube for his nutritional needs. With all this being said, he has been a very sick little boy for most of his life. His diet for 9 years has consisted of medically prescribed formula. He has faced countless illnesses, too many to count but if I could I think we'd hit triple digits. He has been in and out of hospitals and has had several surgeries. He has suffered from seizures almost daily, sometimes seizing throughout the whole day at a number too high to keep track of. Because he's too fragile to be out in public places, we've had to keep him homebound on many occasions for close to 6 months at a time. Even homebound, he was still very unwell during those times. In March 2016, Caiden was once again struggling with his weight. Despite being fed for 22 hours a day on a feeding pump with medical formula, he was continually losing weight, was always sick and seemed very weak and fatigued all the time. His seizures were also never controlled enough. He was often off the chart for weight and height so we knew we had to change something. So on March 27th, 2016, I decided to take the leap into changing his diet entirely. We began blending real foods that he could have and replaced some of the formula in his G-tube with it. This was a slow process at first but as he adjusted and his tolerance increased, we increased the volume. Over time we stopped giving him formula during the day and only gave it to him throughout the night while he slept. 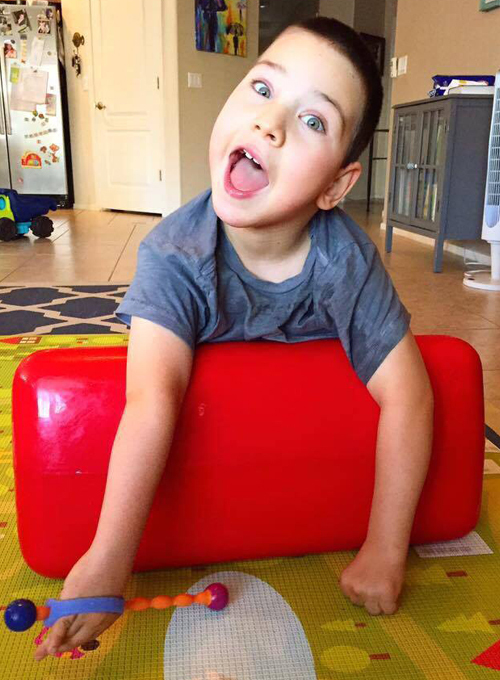 His seizures were pretty out of control when we began the blended diet for him but as we continued, we noticed even his seizures improved drastically - to the point where there were almost no seizures at all. He was also gaining weight right away! Now we are about 6 months into a blended diet, and the difference in Caiden's health is remarkable. His immune system is working so much better. And when he does get sick we have noticed he is fighting off the illnesses faster than ever before. He is also sick less than we've ever seen, he has better energy, better GI health, and is blossoming with his ability to learn and communicate with us. After 9 years of constant health struggles and difficulty making progress in therapies or learning, it's a 'pinch me' feeling to see the new little boy that we have today. Blendtec has given myself, as a mother, the content in my heart that I'm doing the best I can for my son’s quality of life, for his health and his happiness. We want to bring awareness to everyone! To families like ours and medical professionals, REAL food for tube-fed children with complex medical needs IS possible. And it is life changing. Kimmy is one of the best moms I know! The time she takes to make Caiden his blended diet is so inspiring! Thanks to blendtec it takes less time out of her day to make his meals. She’s able to process them faster and larger amounts than before and has a reliable machine. Thanks blendtec for literally changing Kimmy and Caidens life! 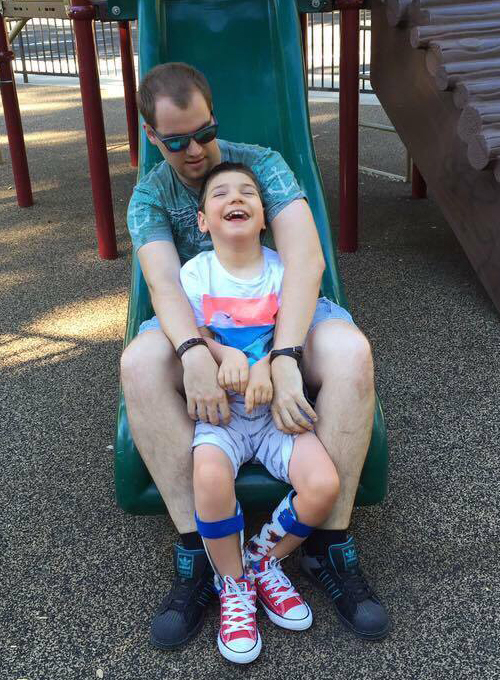 I’ve been fortunate enough to get to know Caiden and his family, and they are all such an inspiration to me. Seeing the remarkable changes in Caiden has made me consider switching my tube fed son’s diet from formula to real foods. Caiden is an absolutely amazing boy with an amazing mom and family. He works hard each and every day and he brings so much joy to my life with that smile! I know how smart he is and I know he will continue to grow and do well with his blended diet. Love him to pieces! I have been following Caiden on facebook. And I have learned so much from Caiden. His beautiful smile has a special place in my Heart. He is forever my Hero. He is doing so much better now that he IS on blended foods. Seems his health is so much better. Your story is inspirational! I agree with you 110%! Ten years ago I helped bring back my uncle from a near death illness solely on juicing! Today we can blend in ways juicing could not go! Keep up the good work!